The start of a new year is the perfect time to take stock of what’s happening in your organization, your industry and on the broader global scale. It’s the ideal opportunity to reevaluate successes or failures and determine how best to either learn from any mistakes or ways to improve upon previous gains. As business leaders look at the opportunities another year provides, I know the pace of technological change is at the forefront of everyone’s collective consciousness. I doubt there’s a single 2019 business strategy plan that does not include some mention of digital transformation, digital skills deficit or something in that vein. HR professionals know only too well the massive impact that digital and all its many manifestations are having on all aspects of their industry. Whether you work in talent acquisition, learning management, or payroll and workforce management, no one is immune. We considered all this as we designed the agenda for this year’s Perspectives, our annual user conference. It’s always our intention that our user conference is just that – a time where it’s all about the people who use our products and services daily. It’s why the theme is, Accelerate your learning workforce for digital transformation, and why the topics selected for discussion align with the 7 Trends to Expect for Talent and Learning in 2019 my colleague, Morne Swart, blogged about earlier this year. What can SumTotal attendees expect? 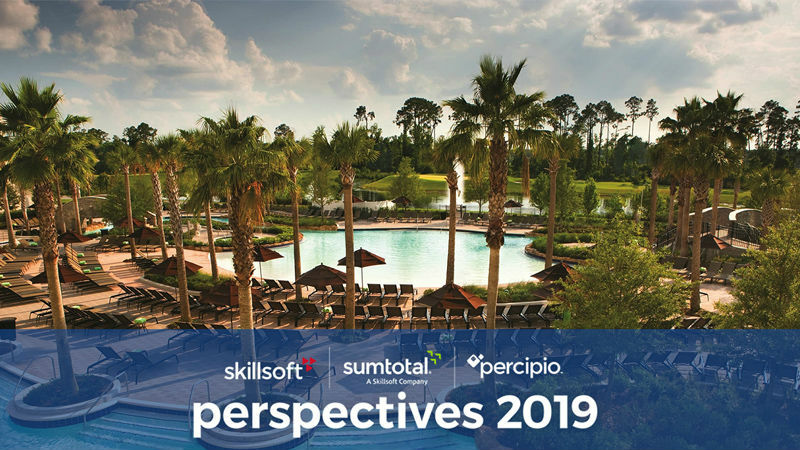 In #Perspectives19: A Whole New Perspective, my colleague Tara O’Sullivan provides a comprehensive summary of everything planned for our 20th annual Perspectives, including the keynotes and our Innovation Awards program. Today I want to provide insight into the sections I feel are most relevant to our SumTotal customers. 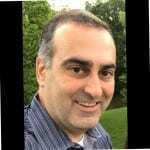 Kyle Lagunas, one of IDC’s leading analysts on emerging trends in talent acquisition and engagement, will present key findings from his brand-new research on the current state of digital transformation (DT) within the HR function. He will talk about the skills and capabilities that are vital if organizations are to succeed. Kyle will also break through the buzzwords to identify the real opportunities and threats that DT poses to HR organizations today. In addition, Kyle will moderate a customer panel discussion on DT. We’ll hear stories from the front line and best practice tips. We have a selection of workshops relevant to all attendees as well as track-specific sessions that take a deeper dive into distinct interest areas. In all, we have a total of five tracks: Growth Edition, Learning Management, Talent Management and Talent Acquisition, Workforce Management and Payroll. Each track includes customer and partner speakers, case studies, panel discussions and workshops to give you the best possible experience. Talent Agility in an Emerging Workplace – To fully prepare for the future of work, executives must stay ahead of the curve every day. Progressive leaders must engage their workforce to think through how trends affect the nature of work inside and outside the organizations. This session is designed to support your organization’s top HR digital initiatives. Solving HR and Business Problems Throughout the Employee Lifecycle – Learn how SumTotal’s solutions can unify your organization by implementing successful talent development strategies. How Customers are Achieving Success – Derek Blake, Senior Director, Global L&D, PSAV will explain how they are achieving success using SumTotal Learning Management to systematize career planning and development for more than 10,000 employees. User-Centric Design & You: How Our Customers Are Driving New Solutions – During this session, SumTotal will allow customers to “see under the hood” at how industry trends and customers shape our product roadmap. Learn how our customers are driving new solutions and how your organization can participate in the SumTotal roadmap process. Continuing Education – One of Raymond James’s Keys to Success – Brian Mulliner, Director, Organization and Talent Development, Raymond James Financial will discuss how his organization depends on continuing education to ensure they keep their clients prosperous in a swiftly changing industry. Brian will also address why they chose SumTotal as their LMS partner due to the continuing education unit (CEU) tracking functionality. Disparate systems into one source of truth via optimization – Discover how Clean Harbors is configuring their LMS so they can migrate several sources of data into one system. As a result, they have eliminated inefficiencies and manual work in the various systems which many times proved also to be inaccurate and dated. From LMS to Ecosystem: Going Beyond Implementation – Creating a learning ecosystem that integrates into all aspects of your organization is now an imperative. This session will cover the keys to a successful learning ecosystem. Using a case study, we will discuss what should happen in year two, three, and beyond to nurture an environment where learning and performance support are part of a user’s daily life. Extended Enterprise Prototype – 3M Healthcare has used the SumTotal Learning Management platform to develop and customize a global learning and training prototype to extend services, and product training out to multiple countries. In this session, you will learn how they customized and branded the mobile solution to support this program. Looking forward to seeing you all in Orlando in mid-April.